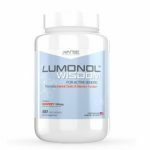 Can anyone touch Lumonol – the makers of Wisdom right now? Just recently one of our team members here shared an experience she had teaching her mother how to use the Internet to look things up via the search engine Google. She pointed out how difficult and frustrating it was for her mom to understand and remember the process of opening Chrome, typing into Google and clicking on the different buttons. In no way does this show her mom’s lack of intelligence. Rather, it just goes to show how people from the older generation are having a hard time keeping up with the fast-paced development of technology. As we age, our brain chemistry naturally begins to change, the communication between nerve cells deteriorate and thus our ability to learn and memorize information worsens. Scientific advancements have taken notice of this issue and to a certain extent, have come up with solutions to prevent and slow down the process of age-related mental decline. 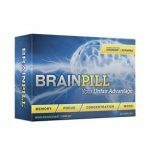 One of these solutions comes in the form of nootropic supplements, or supplements that boost cognitive function and maintain the health of brain cells. 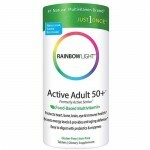 Out of all the senior-oriented supplements we’ve come across, Wisdom definitely comes at the top of the list. With a cutting-edge, incomparable formula, we would highly recommend Wisdom to everyone from the 60+ group who wish to experience a better life with more energy and a shaper mind. Our reasons? Take a look at our review to learn more. 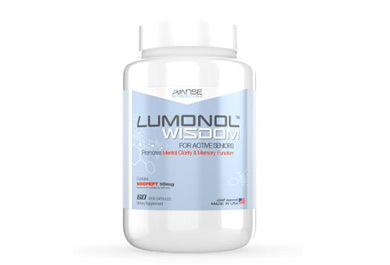 I WANT TO TRY LUMONOL WISDOM NOW! CDP Choline: A super important nutrient that we all need to maintain basic brain function. 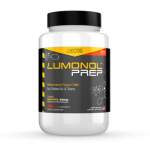 CDP Choline is the best of its kind and can easily be processed in the body to bring out results. People who use CDP Choline as a daily supplement report having improved abilities to recall information, improved focus, higher levels of confidence and improved mood. Ginkgo Biloba: A must-have ingredient that no supplement should ever miss out on. 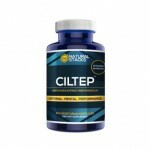 Ginkgo Biloba is easily one of the most popular nootropics to date because it’s potent enough to bring results but mild enough to do so without causing side effects. 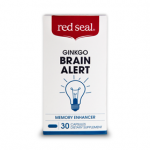 Ginkgo Biloba can bring many benefits such as memory protection and improved focus. How does it work to do that? Well, the herb contains little chemicals known as flavonoids, which bring antioxidant protection to the brain. 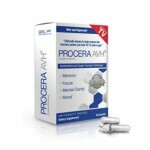 This protects our nerve cells from potential damage i.e. toxins that destroy brain cell integrity and lead to memory loss. 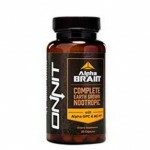 Noopept: A powerful, Russian-made nootropic similar to those belonging in the racetam family. Noopept is a dipeptide that when after reaching the brain, works in various different ways to boost your mental function and bring that “limitless” feeling. 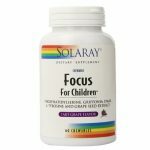 Its main mechanism of action is to support the production of acetylcholine in the brain, leading to better comprehension and memorization skills. That’s pretty cool, but we wanted to learn more about this potent little nootropic, so we kept digging for further information. We finally learned that Noopept increases Nerve Growth Factor levels in the brain, which is responsible for the formation and development of new brain cells. As much as we’d like to, since Wisdom is targeted towards senior citizens, none of us here at the office could act as guinea pigs. Instead, we asked some friends and family members if they were willing to give Wisdom a try for 40 days. During our experiment with Wisdom, we made sure to be very careful in evaluating the results by using certain measuring systems. For instance, in order to check whether there was a legitimate improvement in memory, we asked our participants to use the app “Short Term Memory Test.” This game asks you to memorize a series of letters and gives you a report card of your results at the end. We also asked our users to exercise at least 2 times a week and report how well they were able to do so. At the end of the 40 days, we asked the users how they felt about the product and whether they would purchase it again. Out of the 4 users, 3 showed a significant improvement in memory skills as shown by the results of playing the mobile app. The other user only improved in memory slightly. All of the participants reported feeling more energized and able to exercise/stay active after using Wisdom for 2 weeks or more. All of the participants claimed they would buy the product again after seeing such good results. To top off Wisdom’s stellar results, we are happy to report that we noticed pretty much no side effects during our experiment. 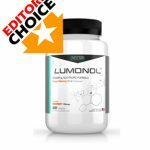 These results were further backed up by a few other expert reviews, all of which highlighted Wisdom’s success of bringing little to no side effects. Since you’re smart enough to realize how beneficial Wisdom’s formula is, we don’t doubt that you’re interested in giving the product a try. 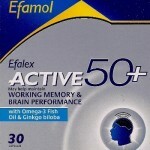 Besides, there’s a full 90-day money back guarantee so there’s really no harm in trying it out. To order a bottle you simply visit the company’s official website, where each bottle is sold for $59.97. Even though you’re meant to take 2 capsules a day, the creators point out the importance of taking a 2-day break per week. Easiest way to do this is to take 1 capsule twice a day throughout the week and then leaving it for the weekend. As much as we’d like to point out the bad in Lumonol Wisdom, it’s damn near impossible to do so. 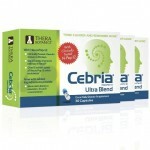 The formula is composed of 9 powerful ingredients that either benefit brain function, boost energy levels or protect brain cells against deterioration. 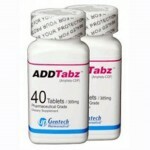 We’re also impressed that the manufacturers, Avanse Nutraceuticals, have sold this product for such a reasonable price. A month’s supply of Wisdom costs $59.97 and can be ordered through their website. Wisdom has achieved all its promises without causing side effects and is sold at a good price, making it a definite recommended buy. To purchase Wisdom, click here.